Harmonies. That’s what Christmas songs are all about for music legend Brian Wilson. From the seminal 1964 classic The Beach Boys’ Christmas Album to his acclaimed 2005 solo effort All I Really Want for Christmas, Wilson has been bringing holiday cheer to the world for more than five decades. 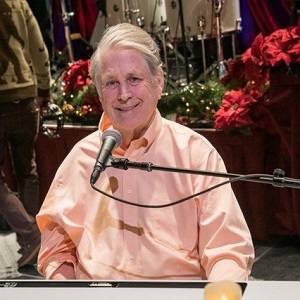 This holiday season, for the first time Wilson and his crack band of musicians and vocalists along with long-time bandmates Al Jardine and Blondie Chaplin will be performing the Christmas Album in its entirety along with cuts from his solo Christmas album and other holiday fan favorites.